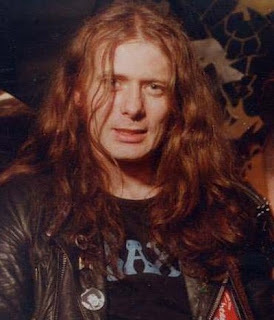 "Fast" Eddie Clarke, the last of the members of the classic lineup of Motorhead that included Lemmy Kilmister and Phil Taylor, has died after battling pneumonia. He was 67. Clarke played in numerous bands during his teens, finally settling into Curtis Knight's band Zeus as the lead guitarist. After two albums, he and two other members of the band to record with their new group, Blue Goose but the lineup was short lived after Eddie left over the use of an amplifier. Two more unsuccessful bands followed in quick succession, souring Clarke on the music businesses. It was while he was working outside the industry in 1976 that he met drummer Phil Taylor who had just joined Motorhead. Eddie was soon playing with the band and, over the next six years, they would have their greatest success with albums like their self-titled debut, Overkill and Ace of Spades along with a number of hit singles. Clarke's time with the band ended in 1982 when he disagreed with the decision to record a cover of Tammy Wynette's "Stand By Your Man" with Wendy O. Williams and the Plasmatics. The next year, he formed Fastway with Pete Way, Jerry Shirley and Dave King. Although the band went through numerous stops and starts with various lineups, they managed to record six albums between 1983 and 1990. After a time recuperating from an illness, Clarke released his first solo album, It Ain't Over Til It's Over (1994). He later reformed Fastway for the 2011 album Eat Dog Eat and released a second solo set in 2014 with Make My Day: Back to the Blues.